Last year, I changed the timing of my newsletters from one every month to one every two months, and it even became less than that toward the end of the year. The holidays are meant to be enjoyed! I may be switching that up this year as well. I’d rather write quality vs. quantity. I hope you agree. If I have something important to relay to you, I’ll send a dedicated email vs. a full newsletter, if need be, on the off months. “What is your larger goal in the work you do? What is the true calling behind your apparent role in the world? Hold to that, and let that vision guide you, no matter the task in front of you. You will ultimately have a lot more fun, and feel a lot more fulfilled in your life.” ~ Quote by Laura Cornell from her article “On Being a Spiritual Teacher”. Last year at a YogaFit® Mind Body Fitness Conference I purchased a hand-made bracelet that was created with the intention of helping you clear your energetic knots (“granthis” in Sanskrit). It has one of those “Chinese coins” in the middle picturing a dragon-like image on one side and Chinese characters on the other. There are two strands extending from each side of the coin with one of the strands on one side containing a unique “square” bead representing a “knot” or “granthi”. 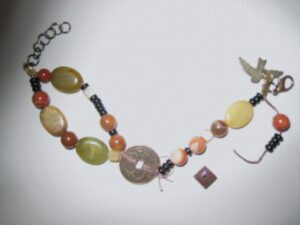 Several red/orange agate stones adorn the bracelet (agates are great grounding stones!) along with a few beautiful light green to milky yellow jaspers, and there’s a dove charm at the clasp. It feels very “earthy” and grounding to me. The energy of stones speaks to me. I am enamored with energy. Working with the energy body has always been a magical subject for me. How about you? I’ve referred to energetic knots/granthis in past newsletters. Let me recap a bit here. Just as acupressure or acupuncture releases blocks in your energetic “subtle” body, yoga releases blocks along the nadis—or delivery system—in the body. “Nadi” means “movement”. They operate as a delivery system for the chakras and transport subtle energies throughout the body. They are often compared to the Chinese meridian system since both distribute energy and interact with the chakras. The knots lie within the root, heart, and third-eye chakra. (Some texts say the first knot is in the solar plexus chakra.) Yoga helps release the energetic knots or blocks. Once the blocks are released, our energy flows freely—physically, emotionally, and spiritually. When there is no energy, there is no life. Our energy—also known as prana or chi—is vital to our life-force. When it flows freely, we feel healthy, vibrant and connected to our true spiritual nature; and are able to become all that we are meant to be. As mentioned earlier, the first knot we must unlock is located within the root chakra. This first knot is “Known as the knot of names and forms, the world of ambitions and desires..” The Chakra Bible by Patricia Mercier. The root chakra is my “go to” chakra for health and well-being since it is typically the one I need to strengthen. It speaks to feeling safe, secure, centered and grounded—nurtured. It is the “seat of survival.” You need to satisfy your survival needs of safety and security before you can become enlightened, right? I tend to focus on staying grounded, stable, and secure sometimes at the expense of venturing out. Putting yourself out there feels vulnerable, doesn’t it? How about you? Have you struggled with feeling centered, secure, and grounded? Do you feel stuck because the risk seems too great to be “out there”? Here’s the rub—the first knot remains shut until you have overcome your attachment to stability, inertia and identification with the physical alone. That’s been a sticking point for me, to say the least, but it makes sense. The root chakra is all about stability and security—but when you strive to attain those things in excess, it still blocks you from recognizing your true nature—your spirit. We weren’t meant to survive life “safe”. We were meant to thrive! We were meant to let our spirit loose! We were meant to connect with our true spiritual nature! I believe we attract the lessons in life we personally need. We all have different lessons and different paths to learn those lessons. When I bought the bracelet, I knew there was something about it I needed to address—this clearing of energetic knots. “What do you want more of in your life? Create a piece of jewelry to symbolize your desire and focus your intention.” ~ Suzanne Vadnais Monson’s “Enchanted Jewelry” Enrichuals© card. We’ll come back to the “unlocking energetic knot bracelet” later! Hold that thought! This past weekend I had the honor of presenting a recently updated version of my Facial Exercise, Acupressure, and Self-Massage workshop at my favorite yoga studio—my yoga sister, Tracey Mortensen’s, studio—Inspiring Actions, LLC. I’d presented this workshop a few times at my original studio location, within Vita Bella’s in Little Canada, as well as at Spirit River in Anoka. Ultimately, what speaks to you and feeds your soul is the true calling behind your apparent role. What is the larger goal in the work you do? There’s always been a section reminding the student that a yoga practice is a great anti-aging practice in and of itself. And I have always stressed this workshop is not about getting a “Botox-like” perfection. The results are more subtle and natural. We aim for an improved, better you—not perfection. Combining the two sentiments brought it home: Coming from a yoga philosophy, I added a reminder of the importance of being okay with where you are at, to love yourself “as is”. Just as your yoga practice is not meant for achieving the “perfect” pose, neither is the intent of my workshop to achieve the “perfect” face. “God grant me the serenity to accept the things I cannot change, the courage to change the things I can, and the wisdom to know the difference.” ~ Reinhold Niebuhr. You have certain features you can improve upon, but what you have to work with is God-given and should be treasured, loved, and even nurtured. The most important element of an anti-aging routine is your mind. That message—the importance of a positive, nurturing mindset in all of your endeavors, and the importance of loving and nurturing yourself—is the larger goal in what I am called to teach. It focuses on love and joy—simple, yet not easy. While there are tools I use to convey that message, the “click” came when I switched my focus from the details of the tools to focusing on the larger aspect of love and joy. How often have you heard to quit focusing on the details—to focus on the bigger picture—to achieve all? Detach from the details, and all will be forthcoming. Remember your true nature in the bigger picture. Flow with that. Focus on your larger goal and the details will take care of themselves. One of the facial acupressure points highlighted in the workshop utilizes the grounding aspects of the point to help focus on “what do you really want?” I’d never really been able to nail the answer to that when I focused on the details. It seemed so big. But when I focus on the larger goal, the answer is simple. Extra chakra energy references in regards to the skin, the pineal gland and your metabolism—all important aspects of a “younger” appearance. All I can say is these additions to content made the workshop literally come alive with new life for me as the teacher. It has a whole new feel to it when I present it because it speaks to my passions so much more directly. Curious? Book a workshop! I wrote this newsletter before I received this email about Gaiam’s® “Connect 2 Happiness” program : “When we take a moment to listen to our inner guide, we get clues that can lead us down the path toward happiness. Choosing what makes us feel happy over what makes us feel safe can take us out of our comfort zone; yet when we connect to our passions with our actions, we stop seeking and start living. Find you joy. Listen to yourself, and take action. Infuse your current life with more that you are passionate about and watch your world pop! The workshop being held at my yoga sister’s studio added a very special significance for me. Tracey (the owner) and I completed our first and second 200 hour yoga teacher trainings together, so we’ve walked the yoga path together for several years. Her friendship means the world to me. Presenting at her studio was, for me, a crowning achievement. She was placing her trust in my abilities and I didn’t plan on letting her down! Feedback from the workshop was very positive, with several students giving unasked for compliments on content and presentation. I was walking on cloud nine for the rest of the weekend, feeling content and “on purpose”. “On purpose”—something I had not felt until I focused on the larger goal and putting my “passions into action” as primary and let the details be secondary. Glass half-full—the bracelet was hand-made with high quality materials and I didn’t question the workmanship. I used to sell beaded jewelry so I know they can’t possibly last a life-time. It’s the nature of the beast. Still, I had to sigh. What did this mean? Was it some sort of sign? Karma is defined as “the force generated by a person’s actions”. I had to wonder, did I unlock the first knot? A couple of weeks prior to this, while in the preparation stages for the workshop, I had experienced a pretty dramatic reaction to a deep tissue/trigger point massage—Lymphatic congestion to the nth degree and subsequent kidney heaviness—all part of your detox and immune functions of the body. The first chakra, where the first knot resides, governs the immune system and the blood and is also associated with the kidney meridian. Also, in Chinese physiology the kidneys rule the emotions fear and insecurity—root chakra issues. Note to self: If you are coming down with a cold or just getting over one, it is NOT recommended you have a deep tissue massage. Got it! Check that lesson off! Yet and still, a good mind/body expert/friend, Dori Brown, PT, suggested that perhaps a clearing that happened quickly, albeit dramatically, was better than slowly over several weeks, adding—everything happens the way it’s supposed to, and my body was calling for a clearing. Read the Chakrascope section for more on kidneys and the root chakra (and salt cravings). Again, to repeat an earlier quote from Cyndi Dale’s book: When energy is stuck at the various thresholds, it develops a physical “pathology” specific to that area of the body. When the knots clear, we become “aligned with the truth of our nature, and the symptoms disappear.” (Source: Kundalini Rising. Exploring the energy of awakening by Gurmukh Kaur Khalsa, Andrew Newberg, Sivananda Rhada, Ken Wilber, and John Selby.) I wondered, could this be what was happening to me? Detox—getting rid of what you don’t want. As I contemplated the “bigger picture” message my body was trying to tell me, several questions came to mind. I am, by nature, intensely curious about how life’s lessons manifest in the body, energetically, spiritually and physically. It’s all connected. The next time you have a physical symptom, ask yourself what might be going on in your life/mind that could be affecting your physical body. Sound strange? Why? Do you question that frustration can lead to either over or under eating or over or under exercising? And would that result in a physical manifestation? Do you question stress affecting your immune system, or causing you to clench various parts of your body? And would that result in a physical manifestation? How else would the body speak to you if not through its symptoms? Have you let this habitual pattern of stress or frustration become your norm so that you no longer see how it leads to the physical manifestation? All I’m asking is that you try listening for a change and perhaps enlighten yourself for your own healing journey. Inna Segal in her book The Secret Language of Your Body, states that the antidote to a rebelling lymphatic system is to practice courage, self-esteem, and leadership and focus on appreciating yourself, loving yourself, and creating a supportive environment where you can feel comfortable to be creative, lively, and spontaneous. I believe I accomplished that by creating and presenting my “new and improved” workshop. Was this all part of a transition to release the first knot? I believe you never really know. All I do know for sure is I feel as though I am living “on purpose” and I am so enjoying my life exactly as it is. Perhaps by teaching with a focus on a larger goal, I am finally learning the lesson of love and joy for myself. I think you are called to teach what you need to learn. I’ve heard it referred to as the “wounded healer”. It is your own hurt that gives a measure of your power to promote healing. “People who love themselves and live their Spirit are not necessarily subjected to any fewer challenges in life than those who rely solely on their egos and intellect to guide them. Life is life. Loving and living the Spirit within doesn’t prevent you from facing life’s storms. It does, however, greatly assist you in navigating the treacherous waters as painlessly and creatively as possible. And it allows you to do this while enjoying the journey.” ~ Sonia Choquette quote from her new book, The answer is simple…Love Yourself, Live Your Spirit. We’ve been focusing on the energetic knots or granthis, specifically the first knot located in the root chakra area. Root Lock/Lift affects your physical, energetic, and mental bodies. (For the purposes of this section, I’ll use “Root Lock” and “Root Lift” interchangeably. They refer to the same thing.) 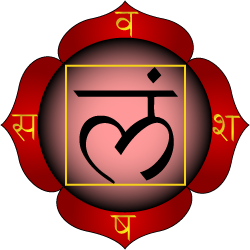 As mentioned in both the opening section and the Chakrascope section, the first “protective” knot/threshold in your energy body is located in the root chakra. Practicing root lift is said to help release the first knot so your energy can flow freely. So let’s focus on the “Root Lock Pose”! Root lock is said to affect the mental/emotional body by helping to release stored emotions held in the muscles of the perineal and pelvic floor. Emotional releases can occur while practicing root lift, clearing the energy. Alignment Cues: Gently engage and lift the muscles of the pelvic floor—the muscles located in the diamond from the pubic bone in front, the tailbone in back and the sitting bones on either side. This activates your inner thighs and core which then stabilizes your pose. Root lock is sometimes referred to as being similar to “kegel” move with the comparison of how it feels to stop your flow of urination. “Root lock is the contraction of three small muscles within the perineum. Picture the base of your pelvis as a diamond, with a line drawn horizontally across the middle to create two triangles. The upper triangle is the perineum. The lower triangle is the sphincter muscle, which should remain relaxed.” (Beth Shaw’s YogaFit®). Enables you to practice yoga more efficiently and I would add that holding this lock at a low level through your yoga practice helps it to become habitual in your everyday life when you are exerting effort physically, protecting your back from harm and bringing power to your whole body. After 20+ years of yoga, I notice I now engage root lift automatically if I start to slip or fall. Closing your eyes can help you focus on contracting the correct muscles. Inhale in, exhale three quarters, and cough. The result helps you feel what root lift feels like. Connect your index and thumb together. Without holding either root lift or belly lock, have a friend try to pull your fingers apart. I will never forget doing this in class one time and a student was so amazed at the increased strength in her fingers while holding the bandhas that she blurted out excitedly: “What just happened here? !” This exercise really brings home the power of the bandhas to increase the efficiency of your yoga practice as well as the protective strengthening power it will bring to your everyday life once it becomes an habitual “hold” for you as you exert physical effort. Contraindications and cautions: Approach the practice of all bandhas/locks cautiously, especially without the direct guidance of an experienced teacher. Spiritual aspects of Root Lock/Lift: Root lock/lift activates the root chakra and, with continued practice, helps release the knot/granthi there, allowing your energy to flow freely. We must unlock the blocks in all three knots to release your potential energy stored there and become all that you were meant to be. Some refer to this as “enlightenment”. Chakra meditation, yoga asana, and pranayama are all ways to clear your blocked energy. Clearing the way for your potential to rise—your spiritual, emotional, and physical potential—is, in my opinion, why we are here. I used to make and sell beaded jewelry, so this particular card spoke to me. Knowing that you can energize your jewelry with intention may seem a bit whoo-whoo for you, but how is that any different than your sending a prayer to the Universe for good intentions to happen? It’s all energy. Since the opening section referred to a piece of jewelry made with an intention built in, I’m using the meditation on this card to inspire you to create your own intention jewelry. If you create in other ways—such as paints, drawings, music, or any other creative endeavor, put your intention meditation into that creation! Also, if you’re not the creative type, you could still use the meditation to hold an already completed bracelet, watch, or other object like a crystal stone, river rock, or lucky penny in your hands and empower it with your intention. You can then continue to meditate with your “piece” whenever you are inspired upon its completion. Her card has more suggestions. Again, it’s all energy, and we all have the magic inside! Set it free! What do you want more of in your life? Create a piece of jewelry to symbolize your desire and focus your intention. As you think about this, let your intuition guide you to the perfect elements to include in your design. It can be anything that appeals to you. Gather your elements in a place where you will be undisturbed for at least ten minutes. Hold the items you have selected in your hands and close your eyes. Take some deep breaths and relax your body and mind, breathing in fresh possibility and breathing out any garbage you may be carrying around. When you feel ready, visualize what it is you are hoping to accomplish. Take your time and really experience this possibility as if it is real. When you feel a strong “click” of connection with your new reality, imagine you are channeling this powerful energy into your elements. Open your eyes and assemble your amulet, asking for intuition to guide your hands as you work to create a piece of personal magic. If making jewelry is new to you, look for some of the great books that show the variety of materials and techniques available, like The Best Little Beading Book. Try some of these ideas: make a crystal dream catcher, a necklace or bracelet with semi-precious gemstones and charms, or how about a key chain composed of shells and wooden beads? Let your creation remind you of what you intend to attract whenever you see it. I’ve been writing about the chakras since my premiere newsletter back in November 2009! Since the opening section talked about the knots/granthis, I thought I’d write a bit more about the knots and, in particular, the first knot which is located in the root chakra/muladhara chakra. “In Sanskrit, Kundalini means ‘life energy’. Known as the serpent energy in Hinduism, the first culture known to have labeled this mysterious force, kundalini is the natural divine energy inside of you. Your kundalini is the life force of your body that, when fully activated, leads to living as an enlightened sage. At some level, kundalini has already been accomplishing all this and more for you. You’ve already been exercising its enchantment to become the great person you are. As mysterious as its name and as magical as its origin, kundalini has been pulsing in your body since you were conceived, performing tasks as basic as igniting the electricity in your cells and as elusive as attracting others to you. Kundalini is a god energy, and as such, it nourishes your uniqueness and upholds your sacred vocation. Since it originates from the Divine Source, it also interconnects you with all living beings, as well as with the Divine itself. Because of these connections, to tap into your kundalini is to open the channel to your intuition, to begin to hear the messages in the wind, to receive revelations colored with inspiration, and to know the unknowable. In short, kundalini allows you to be you—and encourages others to be themselves.” Kundalini Divine Energy & Divine Life by Cyndi Dale. How many of you want more of that?! “When kundalini wakes up, it primarily travels upward through our various energy bodies and channels, parts of the energetic anatomy that create and sustain our physical body. Energy is information that vibrates, and guess what kundalini does? It shakes up the energy of our body, mind, and soul. The kundalini first rises through energy channels along our spine. These energy channels are called the nadis, and as the kundalini climbs through them, it activates the seven chakra energy centers also positioned along our spine, our center axis, and connecting our spiritual and physical selves.” Kundalini Divine Energy & Divine Life by Cyndi Dale. I’ve read that the knots are there has a protective shield—a circuit breaker, if you will. Each knot will only open up to let the energy release if you are able to handle it energetically—mentally, physically and spiritually. I equate it to a divine “high five”. As you become more and more connected with your true spiritual nature, and as you take care of your energy body, your knots are free to release their potential energy. It reminds me of the quote on the following picture. Or “God will never give you anything you can’t handle”. You life is a series of stepping stones leading you to the next best thing. You can’t skip a lesson because you need to have the knowledge and stability of the previous lesson to be able to fully digest, understand, and accept the next one. The knots are here to make sure the energetic way is clear and that you’re ready to take it on. I remember my first “energy work” class over twenty years ago. The instructor cued the students to close their eyes and “run” their energy in figure eights up and down their energy bodies pulling energy up from the earth. While she had just described what she wanted us to do, I was in the “what the heck?” stage. I remember closing my eyes along with all the others, and then peaking out ever so slightly to “see” if I could sense what the others were doing. Little did I know at the time, the “running of my eights” exercise would become a staple in all of my visualization/mediation/centering exercises. I needed to experience it as a lesson, work with it, learn it, and practice being it before I could embody it without effort. Just like riding a bike! Once I believed in it, I could easily feel it. Likewise, if someone had told me ten years ago that I would quit my full-time corporate job 3 ½ years ago and teach yoga, facial exercise/acupressure/self-massage, and meditation classes full time, and write regularly for my own and other websites, I wouldn’t have believed them. Yet here I am; and I am able to walk this path, with all of its wonderful, synchronistic twists and turns, because I took the steps in between to “try this life on” and to believe in living on purpose. “Follow your bliss and don’t be afraid and doors will open where you didn’t know they were going to be.” ~ Joseph Campbell. I won’t say it was a piece of cake. At first my self-esteem dropped tremendously. I was too attached to equating who I was with my old job title—with what I “did”. That’s attaching to the physical, the material. I cried a lot in those first few months. It wasn’t until I fully believed in myself and my gifts that I started to detach from having a “career” and align myself more with having a “life purpose” and living “on purpose”. You can have both, to be sure, but for me a “life purpose” is what we should all be striving for behind the “career”. THAT will make your life’s work pop with magic and energize you because then and only then does the Universe conspire for your full expression! As mentioned in the opening section, this first knot, located in the root chakra, is “Known as the knot of names and forms, the world of ambitions and desires..” The Chakra Bible by Patricia Mercier. The root chakra is about being centered, grounded, safe and secure—which is what I was pining after once I quit my corporate job. Yet modern lifestyles, by their nature, can pull you off center—whether you just quit your job or not. The crazier your world becomes, the more you gravitate toward safety and security. You might even tend toward reaching for safety and security over venturing out and putting yourself out there in the world as I admitted to in the opening section. Well if the first knot is about ambitions and desires and it’s located in the safety and security chakra, can you see the possible conflict to overcome? Remember, the first knot remains shut until you have overcome your attachment to stability, inertia and identification with the physical alone. When you can experience your life force moving forward in the direction of your ambitions and desires, yet remain detached from the physical trappings of what you equate those desires to, you’re on the right track! Remember it’s a focus on the bigger picture vs. the details. Bigger picture is end result—love and joy and expressing that. Expressing that is your purpose. Details are: “How do I get there? What do I do to achieve that?” “What’s in it for me?” When you do things with love, people are attracted to it and come back for more. Surround all of your endeavors with love and joy—simple but not easy, as stated earlier. You’ll never really have all the answers, but as you realize you need nothing “out there” to feel grateful, life becomes filled with constant joy. You begin to recognize your life as beautiful in every way and in every moment because you decided it is. Safety, security, and survival are a given in this frame of mind! You no longer “need” anything in the physical realm other than what you already have. As a matter of fact, simpler is better. You’ll never have enough of something that doesn’t feed your soul. Having more “stuff” won’t fill you up because more stuff doesn’t really fill you, does it? All you need lies within—literally. True wealth has nothing to do with how much money you have. It is your gifts within that you are finally brave enough to share with others—because you finallybelieve in yourself enough to share them—that create true wealth. As you find the courage to share your gifts with others, you align with your own true nature; and as you align with your own true nature, in my humble opinion, that is the path toward releasing the first knot in your energy body. Your work is to discover your work and then, with all your heart to give yourself to it. The Secret by Rhonda Byrnes, pointed out that “I am” are the two most powerful words in the English language. I think their power is in knowing you have all you need within. Affirm who you are constantly until it becomes who you are. Believe you deserve. Believe something wonderful is about to happen, because the Universe will always fill that void. Magic Happens! Buddha, not thinking of himself as anything but present, answered, “No…not a God,” and kept walking. But the dazzled monk persisted. “Then you must be a Deva,” and Buddha stopped and said, “No…not a Deva,” and kept walking. Sit quietly and meditate on the things that have come to define you. Source: The Book of Awakening. Having the Life You Want by Being Present in the Life You Have by Mark Nepo. *Louise L. Hay Wisdom Cards, her book, You can heal your life, and her 2013 affirmation calendar. Protein (especially animal protein), root vegetables, edible and medicinal mushrooms, red-colored foods (apples, pomegranates, etc). And since February is known as American Heart Month and the “ultimate red month”, here’s a great link to an article about 5 Red Foods to Eat for Your Heart. Do you crave salt like I do? Read on! “Salt…is a grounding crystal that takes us down into the body/mind where well-centered concentration of matter attracts a clear perception of its opposite: Spirit (non-matter).” ~ Jacques De Langre, in Seasalt & Your Life. Source: Healing with Whole Foods. Asian Traditions and Modern Nutrition by Paul Pitchford. base of spine and then rub hands together and inhale 3x. and on big toes. Inhale! Also try: Vetiver, Ginger, Thyme, Basil, and Clary Sage. Some Muladhara Chakra gems are: Hematite—offers stress resistance; works as a protective shield (much like the knots!). Smoky Quartz—brings present focus, dissolves emotional blocks. Black Tourmaline—protects, calms and expels fear, best set in silver. Garnet—counters illusions; acts against depression, beats insecurity. For some of these and other great root chakra stones, (Boji stones, Black Moonstone, Black Obsidian, Shiva Eye Agate, Shungite, Moqui (aka Shaman Stones), Onyx with Pyrite, and Snowflake Obsidian) check out http://www.crystallinelightshop.com/collections/crystals-root-chakra or you can also link to her Web site from my links page at www.betterdayyoga.com. I’ve known Jennifer, the owner, for many years and love her products (and her)! All yoga poses essentially activate the chakras. The Charkascope section focuses on the mula bandha, or root lift/lock, which activates the root chakra. Also, using a block between the thighs a couple of inches above the knees in various poses such as chair, or even throughout a sun salutation (hopping into plank and mountain vs. stepping is required) helps to activate the root chakra. Protein, especially from animal, root vegetables and mushrooms are all foods that are considered healing for the root chakra. The following recipe incorporates all of these foods for an earthy, satisfying meal that is especially comforting during the long winter evenings. Recipe – Boil potatoes in salt water for about 15 minutes (until soft when pierced with fork). When cooked, mash potatoes and add butter and milk. Add egg yolk and mix well. While potatoes cook, sauté the carrots, parsnips, onions in olive. Cook for 5-7 minutes on medium heat until browned. Add the mushrooms and cook for an additional 5 minute. Add cornstarch to cold stock and mix well. Add the stock to pan and simmer for 5 mins. Pour mixture into casserole dish. Spoon mashed potatoes on top and smooth over mixture. Bake at 350 for about 20-25 minutes until top is brown and mixture bubbly. Earlier I quoted Cyndi Dale from her book, Kundalini Divine Energy & Divine Life: Energy is information that vibrates, and guess what kundalini does? It shakes up the energy of our body, mind, and soul. Well, this CD shakes up your energybody, mind, and soul! .Synchronizing drumming, movement, and voice yields significant benefits for anyone interested in their own well-being. (From the booklet enclosed with the CD.) Enjoy! 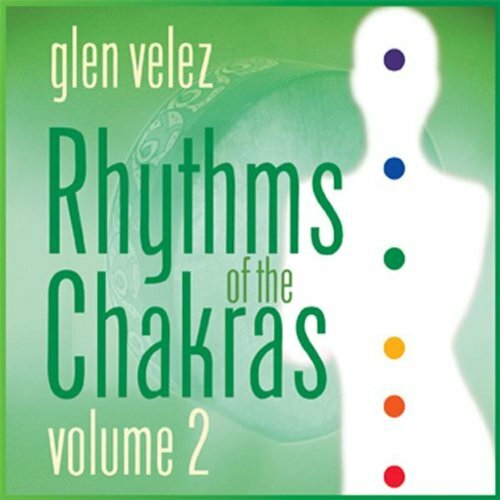 Product Description: Glen Velez is a world-class percussionist and sound healer and is responsible for a worldwide resurgence in the popularity of the frame drum. He has studied under various cultures and incorporates drumming techniques from South India, Asia, Egypt and elsewhere on this album. Want to have me work one-on-one with you on correct alignment? Maybe you have questions you want to ask but can’t during class time? A private physical assessment will help me to recommend particular yoga poses for your body, and perhaps other lifestyle enhancements that might help you, after we discuss your questions and history. Feel better about your practice! Schedule a private consultation. Become a fan of Better Day Yoga LLC on Facebook for updates on all of my blogs as well as other helpful, fun information on yoga, exercise, the mind/body connection, meditation and more!